Moving in the winter may seem mundane but it’s actually pretty smart! Winter is moving companies’ off-season, so you should have a wider range of dates available to choose from. Just be sure to check in with your movers a week before the move and a day or two before the move. As we all know, in winter, the weather can be unpredictable. Keep an eye on the weather. Check it every week leading up to the move, and then every day the week of the move. If you’re concerned the weather will shut down roads or hinder your movers, call the moving company and express your concern. 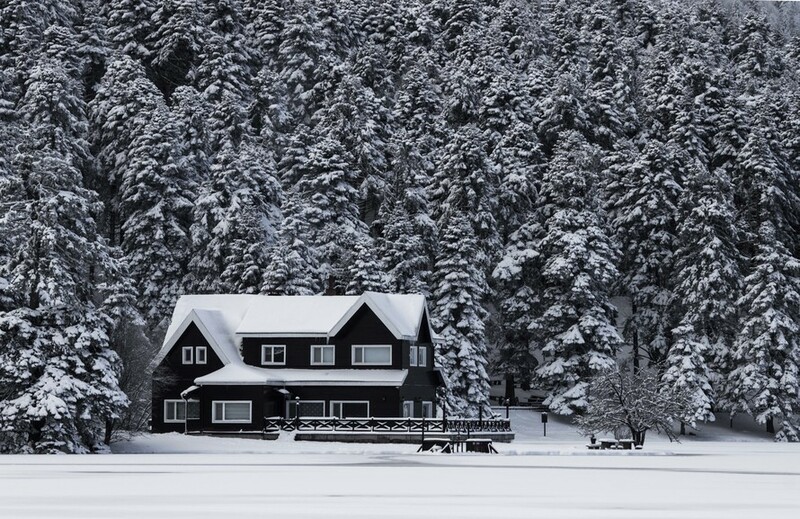 It’s better to delay the move than getting caught in a blizzard. Look at it this way: if you have people going in and out all day, your poor furnace will be trying to heat the house and it will all go straight out the door. If you turn the heat off, just for the day, this will save you on the electric bill. 5. Clear the sidewalks, driveways, and street. It doesn’t get more dangerous than carrying a heavy couch down an icy sidewalk. Be sure to salt, shovel, or snow blow any major walkways you think the movers will be using so they can walk safely with your belongings. 6. Check the utilities at the new house. Make sure that all of the utilities at your new home are turned on and actually working before you start moving. We recommend getting everything turned on about two days before your move. 7. Have sheets, blankets and towels available. Halfway through moving your furniture out to the truck, the skies open up and the rain or snow is just pelting down. And if you don’t have sheets or blankets near the front door, the movers will have to carry Grandmother’s antique writing desk through the downpour with no protection. 8. Keep an extra pair of gloves. 9. Carefully pack fragile items. Many things that are delicate or extra fragile become more brittle in cold weather. Help your movers out by double packing your fragile items so they’re less likely to break while moving. Also remember: any items that can be damaged by cold should not be packed in the truck. The truck may sit out overnight, which could cause more damage than you hoped for. Electronic devices really do not like cold weather. Pack all electronics into one or two boxes, and make sure those travel in your car, where the heat will be on and they can maintain a steady temperature. 10. Keep winter essentials with you. It’s tempting to make room in your car for a pillow and sleeping bag, but make sure your extra clothing layers, coats, snow boots, hats, gloves, scarves, and a handful of cozy quilts also make it into the car. If you’re moving to the Seattle area, give Scott Haveson a call today! Moving to a new state and city doesn’t have to be time-consuming and difficult. Find the best, use the best!